Some bands know how to say everything that needs to be said through music alone, and lovely.the.band is one of those acts. 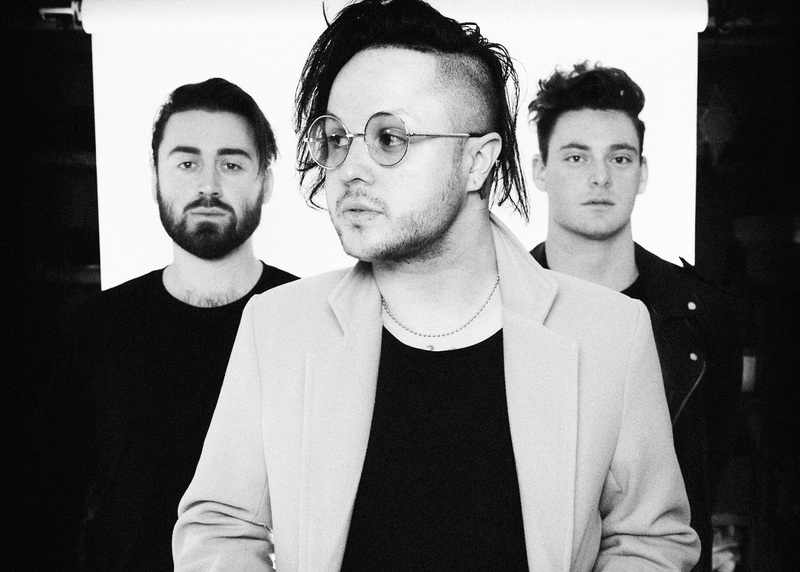 Comprised of Mitchy Collins of indie pop group Oh Honey (vocals, guitar), Jordan Greenwald (guitar, keys), and Kosta Theodosis (drums), the Los Angeles-based trio take pride in their backstory: They formed on a drunken night at a club in West Hollywood. Collins describes “broken” as a song about finding someone who has issues like you do. “We all have our demons we fight every day. It’s about finding someone whose problems complement yours. Perfectly imperfect. Everyone is a little broken inside, trying to find their band aid.” The narrator finally finds a match in “broken;” opening up to a random stranger at a party suddenly becomes an empathic sharing of experiences and emotion. Neither character feels whole; “there’s something tragic, but almost pure,” sings Collins in the second verse. “I think I could love you, but I’m not sure.” We sense the tension of a new beginning – that skipped heartbeat full of feeling and knowing. This is the kind of moment you cherish; the chance encounter whose memory lasts a lifetime. 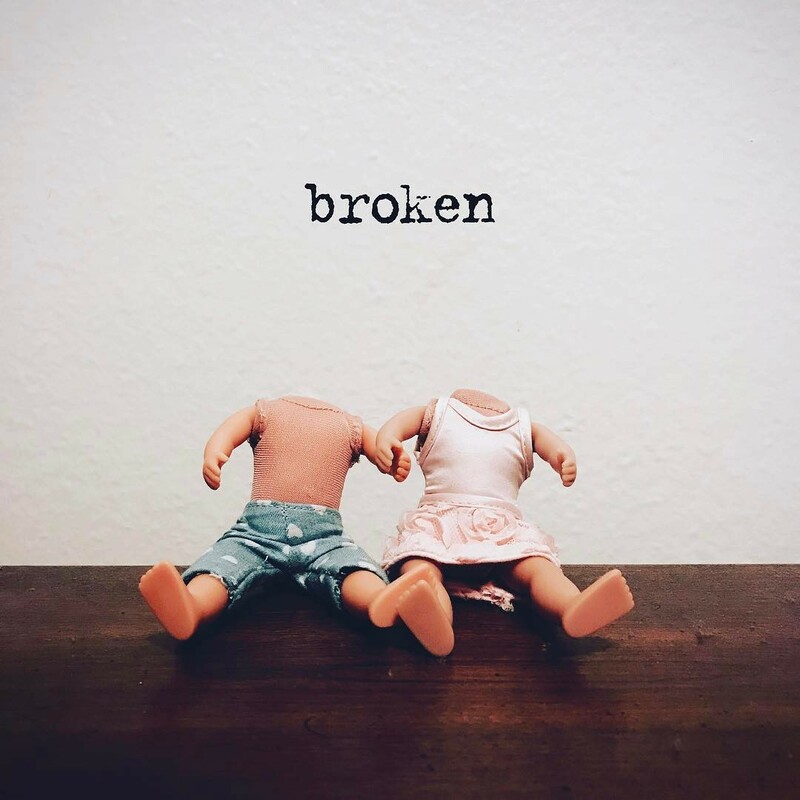 “broken” is catchy and powerfully meaningful in its acceptance of the out-group; no doubt millions of kids and adults could use the musical therapy of a like-minded soul. Collins quite literally calls the song “an ode to the broken ones,” and that sentiment, romanticized as it is, still rings true. There’s a certain personality that flourishes in the abyss, indulging in the vapid, mind-numbing wasteland of egomania and temporary pleasure that is perpetuated by media, pop radio, clubs, and more. Even then, it’s a passing phase for most. We all need someone who understands, on a deeper level, who we are and what we’re doing here. That person might take a lifetime to find, but trust me and trust lovely.the.band: It’s worth it. Because when you finally find that special person who completes your life, you will no longer be “broken” – and that is the miracle of true connection. For all its theatrics, lovely.the.band’s debut satisfies an essential part of our complex emotional diet – and we cannot wait to hear what they serve us next.